Are you looking for a great no-fail recipe for delicious cookies for the big and little kids in your life? How about one that is filled with crunchy toasted pecans and has a buttery rich flavor? 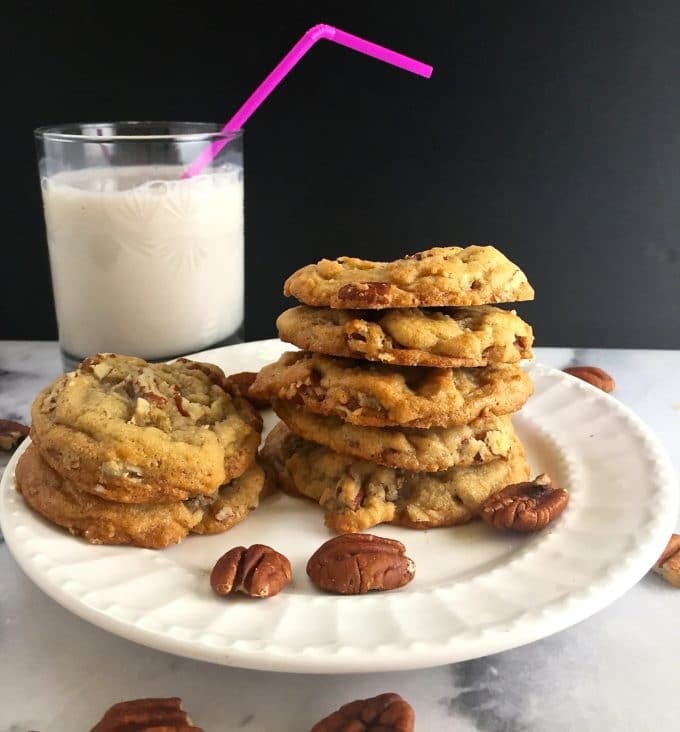 These Easy Butter Pecan Cookies fit the bill, plus they are soft in the middle and crisp around the edges – a perfect cookie! 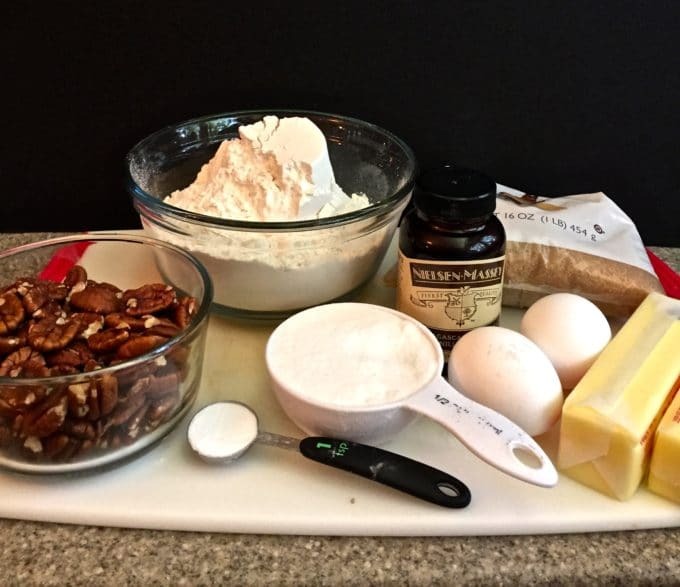 These Butter Pecan Cookies are easy to make, don’t require any special ingredients, and come together quickly. Unlike most cookie recipes, you do have to chill the dough in the refrigerator for three hours, but this extra step is what makes them extra delicious. 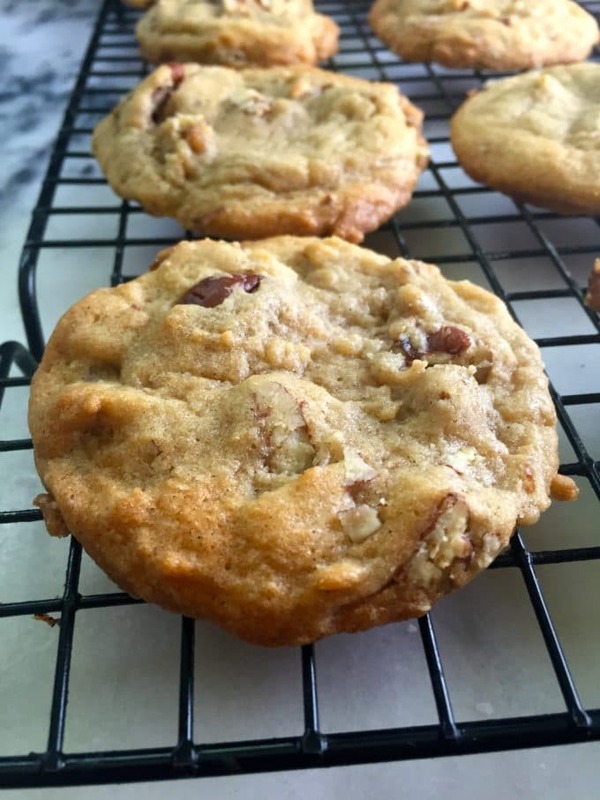 My husband, whose favorite cookie used to be Oatmeal Raisin but dearly loves all homemade cookies and cookie dough, has declared these Butter Pecan Cookies his new favorite. High praise indeed! This yummy recipe comes courtesy of my sister and her blog, The Pudge Factor. 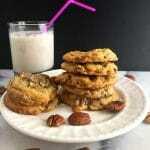 If you love creamy Butter Pecan Ice Cream, you will love these tasty cookies. The pecans make them uniquely southern and of course, you could substitute other nuts, but why would you? 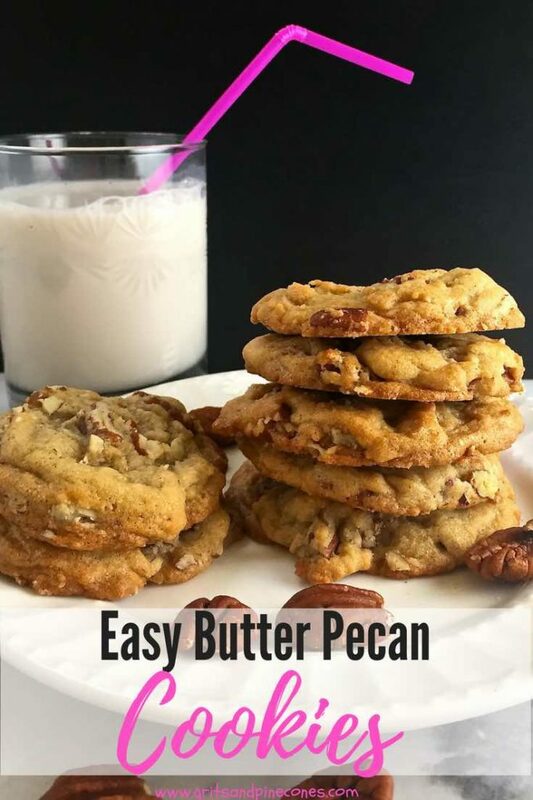 So why not make a batch of these delectable Easy Butter Pecan Cookies today, I know you and your family and your friends if they are lucky will love them as much as we do. The ingredients are simple and include unsalted butter, light brown sugar, granulated sugar, eggs, vanilla extract, baking soda, salt, all-purpose flour, and toasted pecans. If you are ready to make these delicious treats, first preheat your oven to 350°F. Toast pecans in single layer on baking sheet for 8 to 10 minutes. Set aside to cool. Then, beat butter in a large bowl using an electric mixer for 1 minute or until smooth and creamy. Add granulated sugar and brown sugar. Beat on high speed until light and fluffy. Add eggs and vanilla; beat on high speed until light and fluffy. Sift in baking soda and salt; beat on high speed until well incorporated. Add flour to butter/sugar mixture, and beat on low speed just until combined. Stir in the chopped toasted pecans until evenly disbursed. *** Do not skip this step! Cover dough with plastic wrap or aluminum foil, and chill for at least 3 hours and up to 3 days. 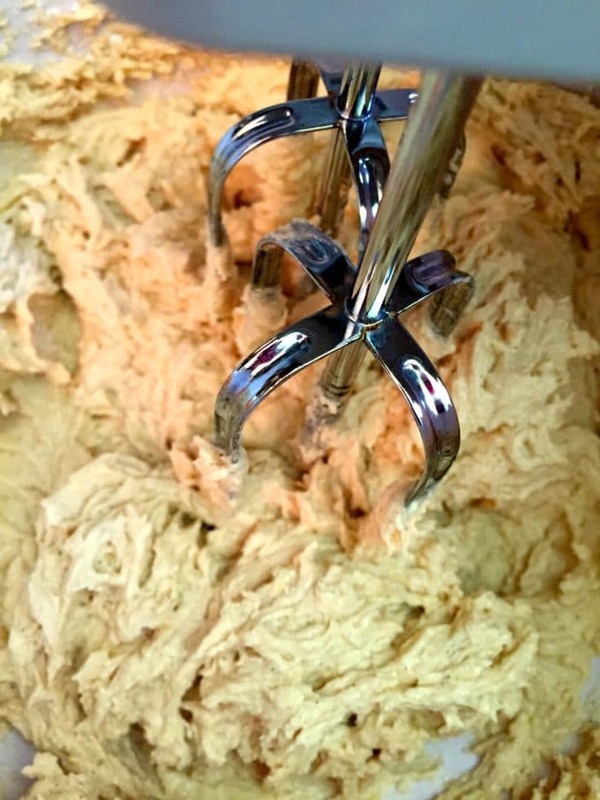 Remove cookie dough from the refrigerator. Scoop and roll balls of dough, about 1-1/2 Tablespoons of dough each, into balls. Bake the cookies for 10 minutes (11 minutes for crispier cookies), until slightly golden brown around the edges. The baked cookies will look extremely soft in the centers when you remove them from the oven. Allow to cool for 5 minutes on the cookie sheet. Tip: Cookies will stay fresh in an airtight container at room temperature for several days. Unbaked cookie dough balls freeze well for up to three months. Bake frozen cookie dough balls for an extra minute, no need to thaw. Are you looking for a great no-fail recipe for delicious cookies? 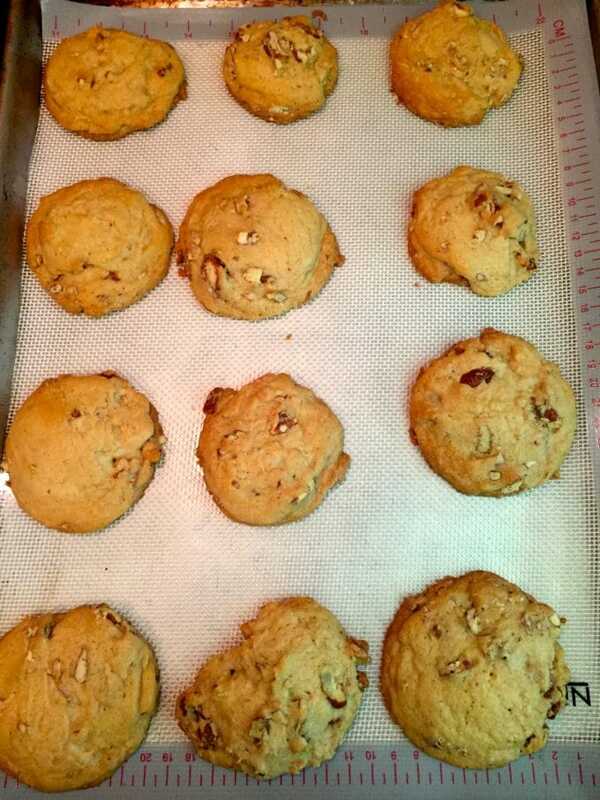 Then try these delicious Butter Pecan Cookies which are filled with crunchy toasted pecans. Preheat oven to 350°F. Toast pecans in single layer on baking sheet for 8 to 10 minutes. Set aside to cool. Beat butter in large bowl using electric mixer for 1 minute or until smooth and creamy. Add granulated sugar and brown sugar. Beat on high speed until light and fluffy. Stir in the toasted chopped pecans until evenly disbursed. Cover dough with plastic wrap or aluminum foil, and chill for at least 3 hours and up to 3 days. Do not skip this step. Bake the cookies for 10 minutes (11 minutes for crispier cookies), until slightly golden brown around the edges. 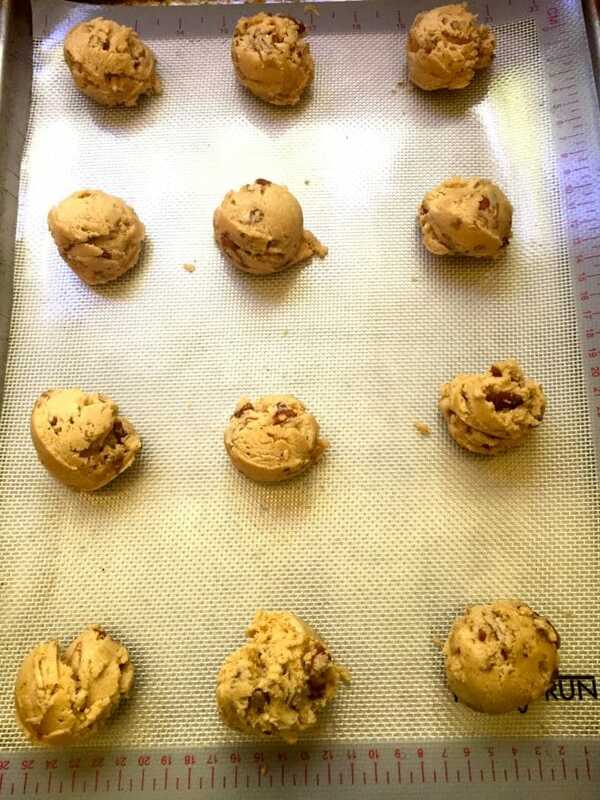 The baked cookies will look extremely soft in the centers when you remove them from the oven. Allow to cool for 5 minutes on the cookie sheet. If the cookies are too puffy, gently press to flatten. Transfer to a wire rack to cool completely. These are really delicious. Toasting the pecans first really adds flavor. They took 13 minutes in my oven to be crisp around the edges and chewy in the centers. Ken agrees with Terrsy. These are keepers!